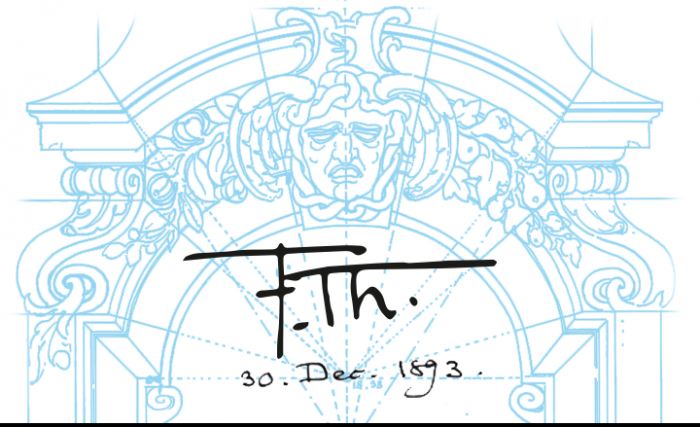 The Palace of Justice, the Bernheimer Palace, several bridges over the river Isar, and other distinctive buildings and monuments in Munich were all the work of architect Friedrich von Thiersch, considered one of the most important proponents of late historicism. This phase is particularly characterized by the imaginative revival of architectural styles from previous eras. Thiersch was always at the cutting edge of technology, designing central heating concepts, elevators and ventilation systems for his buildings. In addition, he knew how to “blend elements of different stylistic periods in a new and unprecedented way, building on the old to breathe life into the new”. This is actually how Thiersch described his colleague Paul Wallot, who designed the Reichstag building in Berlin, but it equally applies to Thiersch himself. 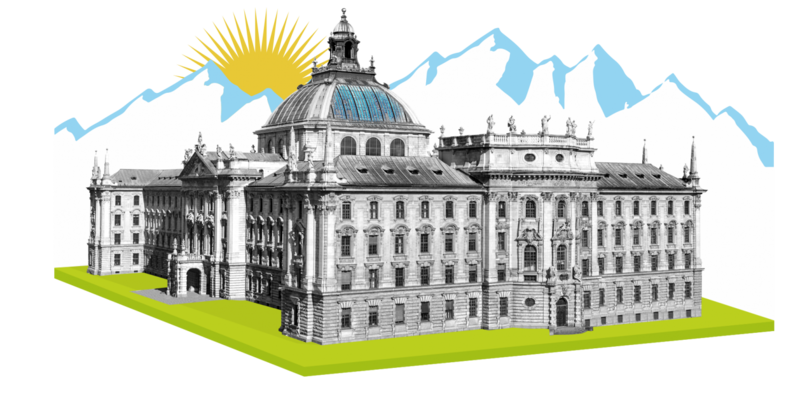 In 1879, Thiersch was appointed Professor of Advanced Architecture at what would later become the Technical University of Munich. Despite this time-consuming new role, he also continued overseeing multiple construction projects. Under his leadership, the department went on to become the most illustrious school of architecture in the German Empire prior to the First World War. 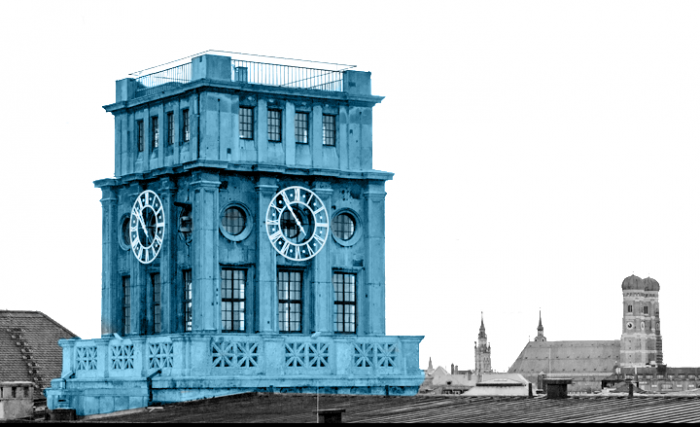 Thiersch also built one of TUM’s iconic landmarks: the striking, copper-clad clock tower on Gabelsbergerstrasse, which today bears his name. Thiersch almost moved to Berlin in 1886. 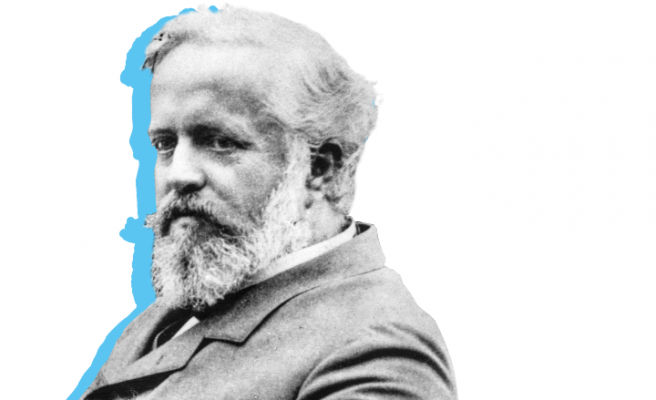 The Technical University of Charlottenburg was keen to entice the professor – and he was certainly very interested. 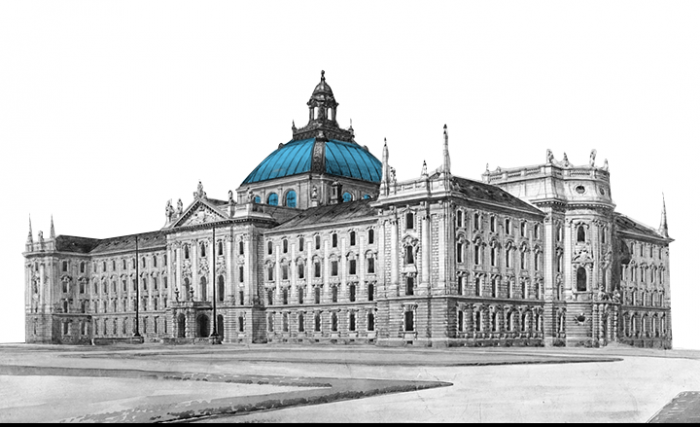 However, a major state contract ultimately kept the architect in Munich: Luitpold, Prince Regent of Bavaria, was personally committed to ensuring that Thiersch would build the new Palace of Justice. After seven years of construction, this was inaugurated in 1897, bristling with innovative technology such as steam central heating and electric light. The self-supporting glass and iron dome, which soars above an atrium at a height of over 60 meters, is an impressive sight to this day. Above all, Thiersch has been hailed for his audacity in designing such an important building in baroque style. Thiersch had been developing his own characteristic style since his school days. This even involved radically changing his handwriting: “His previous cursive writing, which was not particularly striking in any way, suddenly disappeared and was replaced by this steep, vertical style with delicately curled flourishes on the overhanging letters, which was to remain from then on,” as his nephew Hermann later reported. Thiersch subsequently gathered ideas for many of his works on a two-year educational trip around Italy and Greece. There, he made a detailed study of ancient works of art and visited sites including the excavations of Olympia led by German researchers. Around 1900, TUM’s predecessor institution expanded to such an extent that more space was required in Munich’s Maxvorstadt district. Friedrich von Thiersch was thus awarded the contract for the first major extension to the university on Gabelsbergerstrasse and Luisenstrasse, starting in 1907. Even during the planning phase, Thiersch was already thinking ahead, building flexibility into his design by supporting the reinforced concrete ceilings with steel girders. This way, walls could be removed at any time and new ones put in elsewhere. The crowning glory of the complex, completed in 1916, was the 37-meter clock tower – still TUM’s landmark today. For a long time, the rooms inside were used by physics researchers and student aviation group “Akaflieg”. In April 2018, TUM opened the Klaus Tschira Forum in the Thiersch Tower – an impressive event space high above the city. The ambitious remodeling this required was supported by the foundation of entrepreneur and physicist Klaus Tschira.